Kimberly A. Bonner graduated from York College of Pennsylvania in 1999 and received her Juris Doctor degree in 2002 from the Dickinson School of Law of the Pennsylvania State University. Kimberly is admitted to practice before all state courts of the Commonwealth of Pennsylvania and is admitted to the United States District Courts for the Eastern, Middle and Western Districts of Pennsylvania. 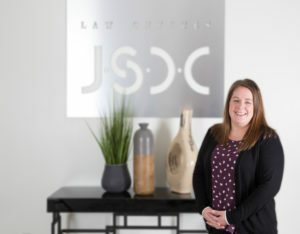 Kimberly’s major areas of concentration are commercial litigation and creditor’s rights, including bankruptcy, foreclosure, REO, title litigation, and workouts. Kimberly has represented creditors in every county in Pennsylvania and all Pennsylvania District Courts.